"Do you want to go to a Polo match. In Newport?" I replied. "Yes, yes I would." The text was from one of my closest friends who is also my awesome sister-in-law, Sue. 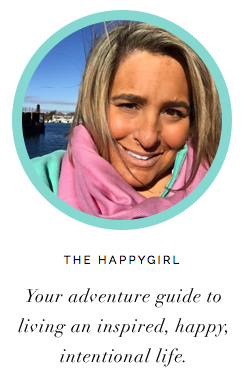 I was coming home back to New England for two weeks and she was planning things for us to do. Sue would send me texts and emails (like this one: "Ocean House for a girls lunch?") in anticipation of my trip. The answers were always "Yes, yes, love! Yes." 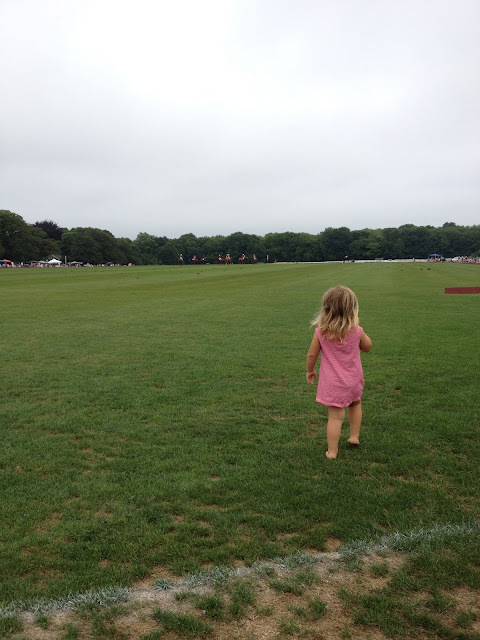 So, there we were on a hot July afternoon at the Newport Polo Club in Rhode Island, with a blanket, bubbly and adorable little treats. And yes, it was all very "Pretty Woman"except for the whole "I'm paying you to be my woman for the weekend" business. Polo is a very civilized sport. 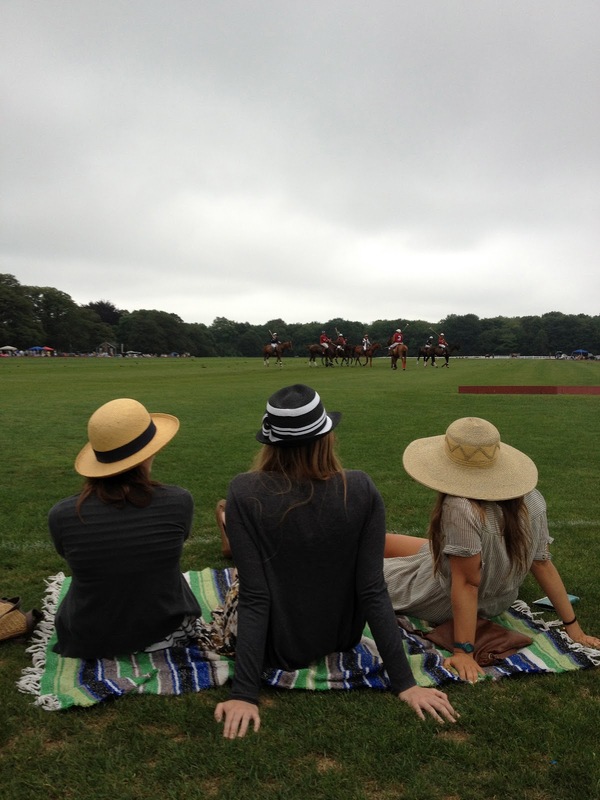 There are ponies and players, tailgate picnics and women in straw hats. There are men wearing baby blue slacks with little whales on them and tow-headed toddlers running across the grass. We (Sue, me, her husband, the girls, Sue's sister Carolyn and the dog, Ryder) arrived and unpacked our chairs, table and blankets as well as the picnic fare. We were on the general admission side along with the tailgate parties. On the other side of the field was shopping (with vendors like Alex and Ani and official Newport Polo merchandise) and the Patrons area (with tables and chairs). The game started with the National Anthem. Even that moment, with the horses on the field and the sound of the flags cracking in the wind against the song was beautiful. The game began and the horses thundered down the field towards us. I looked over at my sister-in-law, Sue, and motioned with my glass over to the motion on the field. "So, how does this work? It looks like field hockey with horses." Sue replied "Sure. It's like that." We laughed, because really what you're there for is to be with your family and friends, enjoying a picnic with the beauty of majestic animals and athletes playing a game that they love. Even now I can close my eyes and remember the vibration of the horse's hooves and the sound of their breath as they ran close to us. Around us, everywhere I looked, there were happy families and friends and groups of co-workers with clambakes and hotdogs, bags of chips and vegan burgers. There were dogs and children, college students and senior citizens. And at $12 for a general admission ticket (for a 6-chukker match-like innings), Polo ranks as not only one of our top happy places but one of the most reasonably priced as well. Stomping the divots. A social tradition during half-time where the audience goes out onto the field and 'stomps' the tufts of grass lifted by the ponies during the game, back into place. 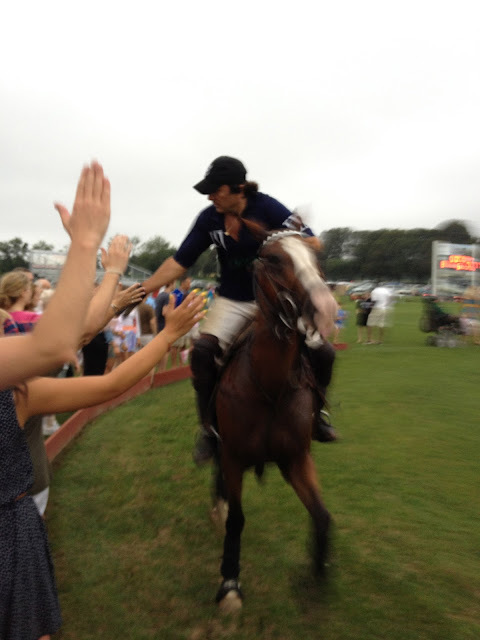 After the game, the athletes with their ponies, will circle the playing field giving high-fives to the audience. For more on Polo etiquette, click here. Click here to find a Polo club in your state.